Pokemon Duel Onyx Stats, Best Moves To Level Up and the Base Wheel Sizes. Protect – This Pokemon gains wait. Dig – this Pokemon moves away from any Pokemon attached to it. 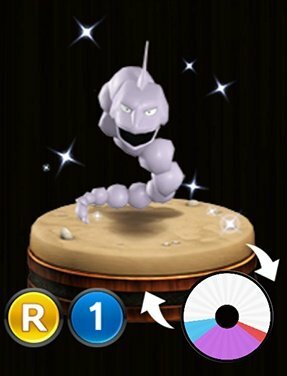 Rock Slide – This is the viable Attack move option you have to level up on this Pokemon figure, while dig has it uses it just isn’t good for every situation. Rock slide can be used effectively help clear the board of enemy figures.